Now, instead of naming certain websites or services, we describe an activity and track people’s use of these resources over time. 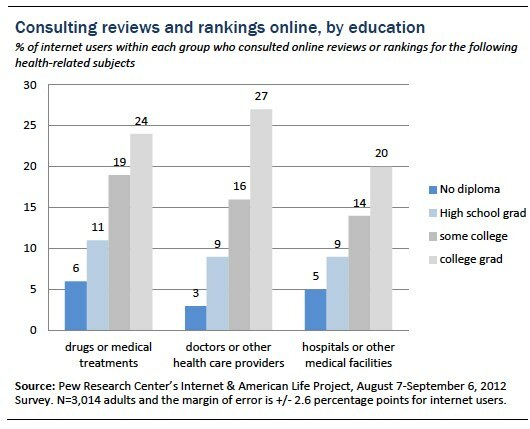 For example, in the current survey, we did not ask specifically about Facebook, instead focusing on more general social interaction which may take place on a variety of sites. 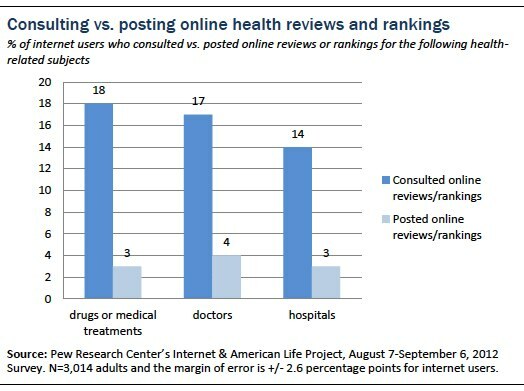 We trust that people know what we mean when we ask if they have, for example, posted a health-related question online and we do not particularly need to know how or where they posted it. 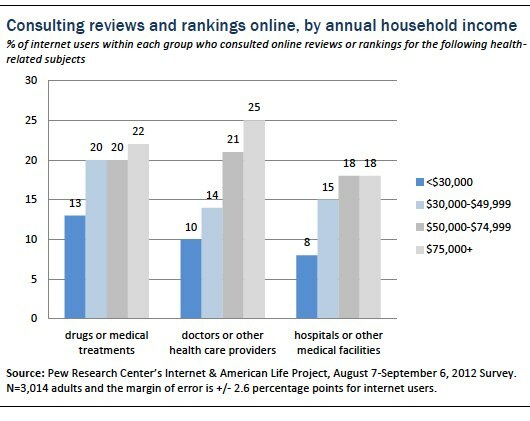 The social life of health information is a steady presence in American life. 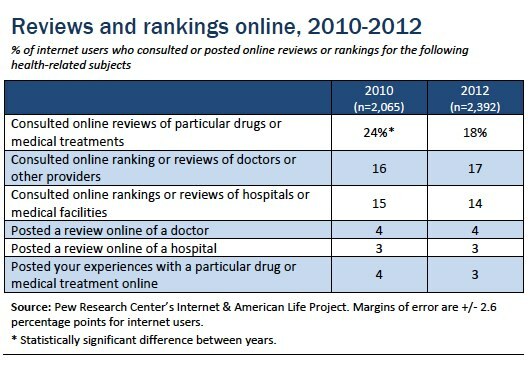 As we noted above, one in four adults (24%) says that they turned to others who have the same health condition during their last bout with illness, essentially the same finding as in our 2010 survey. 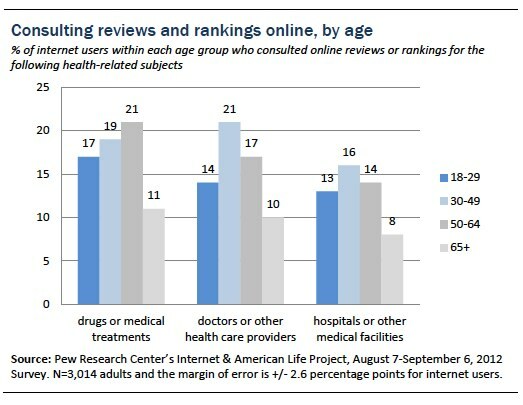 One in four internet users (26%) have read or watched someone else’s experience about health or medical issues in the last 12 months. 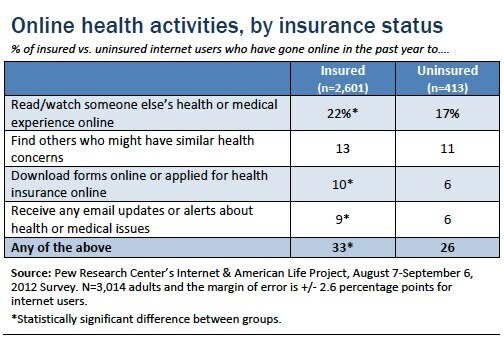 And 16% of internet users have gone online to find others who might share the same health concerns in the last year. 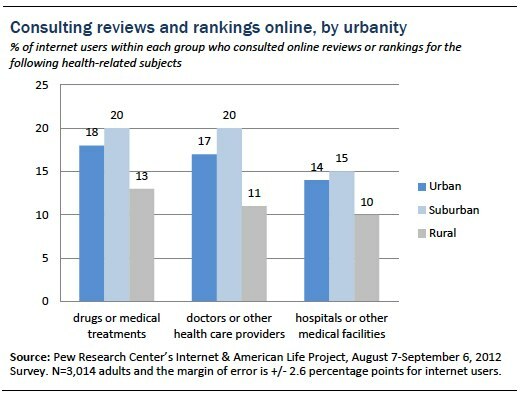 We explored this phenomenon in greater depth in the 2011 report, Peer-to-peer Healthcare.